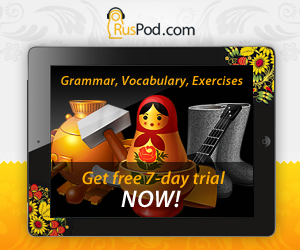 This lesson introduces five "soft" (palatalized) vowels of the Russian language я, е, ё, и, ю. 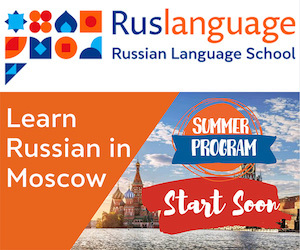 You will also learn a rule of the Russian pronunciation called ikanie. The basic rule to make a "soft" Russian vowel is to combine a sound of English y with corresponding "hard-indicating" vowel. For example, to get Russian я you should say y + a as if they are one whole (ya). Note that when a soft-indicating vowel (such as "я") follows a consonant (as in "мясо"), it in fact has the sound of the corresponding hard vowel (the [a]-sound of "a" for "я"). The effect of the "softness" is achieved because of the way you pronounce the consonant letter (soft [m']+[a] instead of the hard [m]+[ya]). In the word весело, an unstressed e sounds like an abbreviated Russian и. This rule is called ikanie and it is also applied to unstressed я and э. In unstressed positions, Russian letters Я, Е, Э are pronounced like an abbreviated Russian И. The letter Ё is always stressed in Russian words.